We have written so much about electricity, solar panels, wind turbines and towed generators that you are probably bored with reading about it. 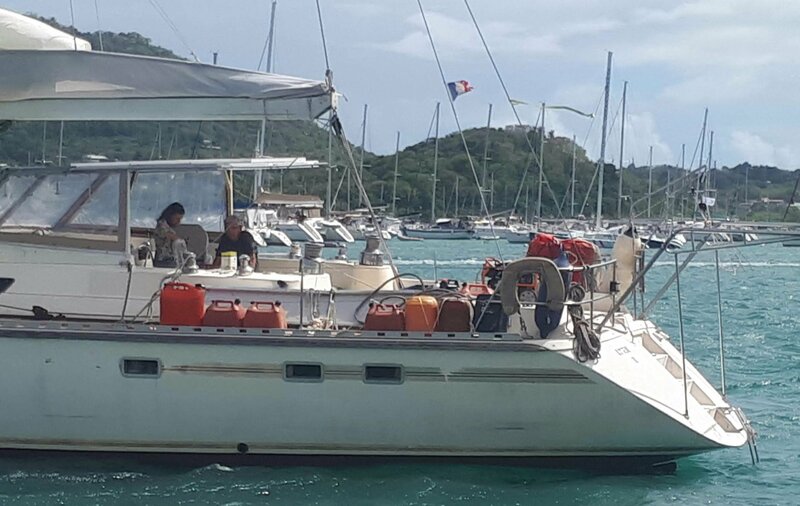 But our neighbour here in Le Marin has a petrol generator on the deck of his boat and so each day, when he switches it on to charge his batteries we are SO GLAD that we don’t need one. His decks are covered in fuel canisters and containers of oil, the thing is loud and he seems to spend half of each morning running and servicing it. We are sure he has a freezer, microwave, wide screen TV and air conditioning running. No matter what he is feeding electricity in to, it can’t be worth the noise, smell and trouble of having a stinky generator on board.